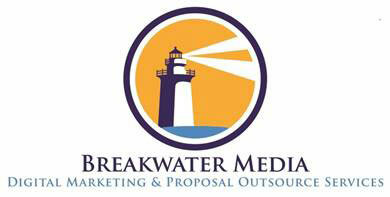 Working with Breakwater Media provides your sales leaders with the assurance that your RFP projects and programs will be executed with precision and excellence taking advantage of our economies of scale that can leverage, consolidate, and package resources globally providing you maximum value and exceptional deliverables. Breakwater Media recognizes that Sales Operations leaders are continually challenged with implementing sales enablement programs and processes that reduce non-customer facing activities and provide their sales teams with insights and services that improve both the time spent with customers and the effectiveness of their interactions. Breakwater Media’s Proposal services represent such a sales enablement program by optimizing and managing the proposal response process for your sales leaders. From project initiation via your CRM system to reviewing bid documents; setting up collaborative environments like SharePoint; leading the bid project; generating, curating and delivering bid response documents. We work directly with account managers and their teams enabling them to pursue this new revenue opportunity and benefit from time better spent with customers. Organize, manage, and lead a series of calls and virtual meetings, complete with agendas, timelines, and all relevant materials. We organize, manage, and lead in collaboration with the Account Manager and their functional team members. Gather and format content from all functional areas to complete requirements of RFP, i.e. finalize and package proposal documents in specified formats utilizing client template. We maintain project plan and timelines and set up and maintain collaboration tools. Set up collaborative tools such as SharePoint, Skype calls, document libraries, Smartsheet, etc. Graphic design of network diagrams, workflows, visuals to support proposal/offering, custom graphics, etc. Breakwater Media is comprised of experienced marketing professionals with significant experience in all facets of sales proposal deliverables. In the past two years, we have produced and submitted dozens of Responses for Proposals (RFPs) for technical sales opportunities for Fortune 500 companies in the following industries: Transportation & Logistics, Retail, Manufacturing, Technology, and Healthcare. Our team of project leads is adept at all components of delivering a successful proposal. Our skill set includes expertise in the following areas: Strategic Review and Analysis of Bid Package, Desktop Publishing, Technical Writing, Authoring compelling Executive Summaries, Marketing content, and familiarity with the technology industry. — its language and schematics. Our team thrives on collaboration, solving challenges, and working under pressure. What drives us is helping our clients qualify for the next phase of a bid. Below is one such success story. Are your sales teams spending too much time responding to requests for proposals? 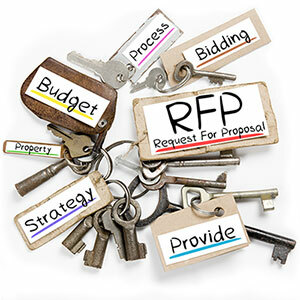 Let us optimize and manage the RFP process for your Sales Leaders and their teams. 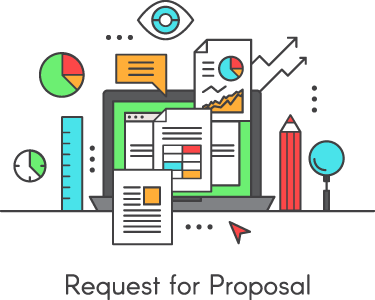 Reach out to us to learn more about how we can enable your RFP process. We want to help you win more business.